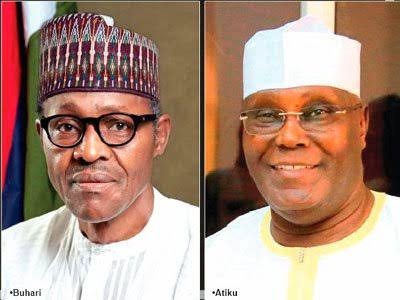 Atiku to Buhari: "Your Next Level Full Of Promises With No Clear Policy"
The Atiku Abubakar Presidential Campaign Organisation has described President Muhammadu Buhari’s campaign document, “Next Level” as very big on promises but vague on policy. The Atiku campaign group, in a statement yesterday, raised issues about promises made by the President and his party during the 2015 electioneering campaign but which they said had not been fulfilled. The statement said: “Reading through the presentation, we note that it is very vague on policy and very big on promises. Promises are cheap. Anyone can make promises and, indeed, President Muhammadu Buhari and the APC did make quite a number of promises which they either denied or did not fulfil, such as the promise to create 3 million jobs per annum and to equalise the value of the Naira with the dollar. The Atiku group said the feedback received from Nigerians on Buhari’s policies was one of alarm, adding that in last three and a half years of the administration, Nigeria was officially named as the world headquarters for extreme poverty. “Nigerians are asking if this administration is planning ‘next level’ poverty for them”, Atiku said, adding that, under this government, 11 million Nigerians have lost their jobs. This, the campaign said, has driven the administration into panic mode, as it has refused to fund the National Bureau of Statistics to release the latest unemployment numbers. Continuing, the Atiku group said, “Nigerians are asking if this administration is planning ‘next level’ unemployment for them? The campaign office said the ‘next level’ launch was an anti-climax in that it just exposed the fact that all that the Buhari government is promising Nigerians is more of the same. It stated that if the state of the average Nigerian has not improved in the last three and a half years, more of the same was obviously not what they needed. “We, therefore, urge Nigerians not to lose hope, but to await the launch of the policies, plans and programme of former Vice President Atiku Abubakar to Get Nigeria Working Again. “Remember those who fail to plan, plan to fail. Atiku has a plan. Atiku means jobs and at 12 noon on Monday, November 19, 2018, you will hear from the man with the plan,” the statement added.